A hoverboard appeared in her rearview mirror. "This is the Los Angeles Air Patrol," a voice boomed. "I command you to land your vehicle in the name of the law." Noli Braddock and her best friend V's incident with a flying auto have landed them in a heap of trouble. And when Noli is sent to a spirit-squelching reform school in San Francisco, she's sure that her rebellious adventures are over. Meanwhile, Kevighn Silver has been ordered by the Faerie Queen to bring a mortal girl back to the Otherworld. The magic requires a blood sacrifice every seven years, and only a mortal girl who shines with the Spark--a girl like Noli--will keep the Otherworld from complete destruction. When an ill-timed wish sends Noli tumbling into the Otherworld, she's more homesick than ever . . . until V arrives to save her from an untimely demise. But who exactly is V? And if he helps Noli escape, who will save the realm of Faerie from utter annihilation? Suzanne Lazear is the author of the Aether Chronicles series for young adult. 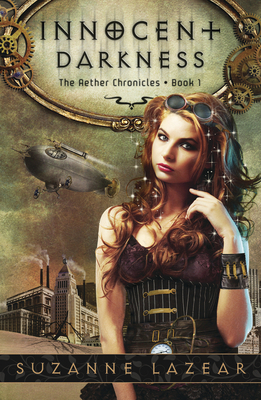 In addition to writing for teens, Lazear gives presentations on the steampunk subgenre at conferences nationwide--resplendently attired in all the bustles and whistles. She is a regular contributor to the steampunk-themed blog, Steamed!, and is an active member of the Romance Writers of America (RWA) and the young adult debut author groups the Apocalypsies and the Class of 2k12. Lazear has her master's degree in public policy from Pepperdine University. She lives with her family in Los Angeles.